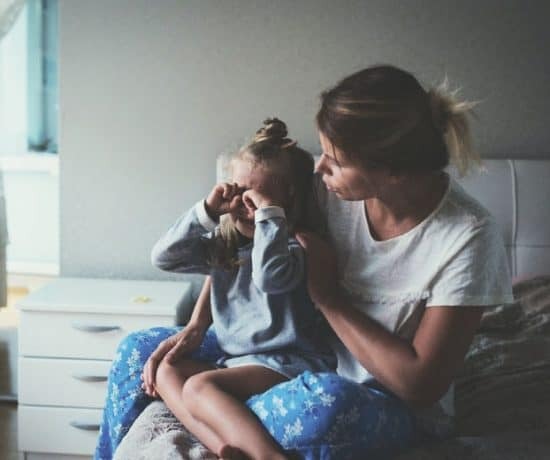 With young children, we don’t usually want an alarm to wake them up but rather a cue to keep them in bed until it is time to wake up. 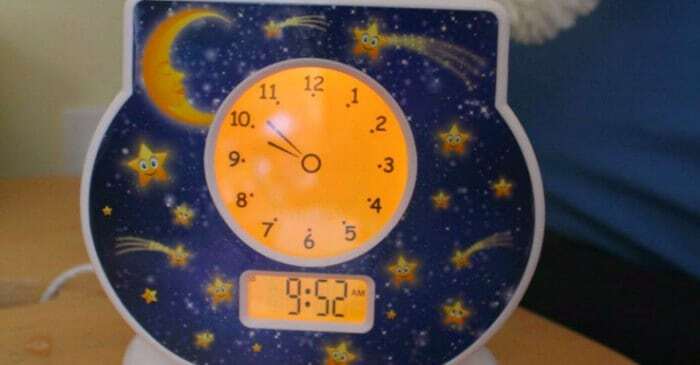 ‘When to Wake’ clocks give children visual cues that are a helpful aid when creating sleep routines for children. This is not a sponsored post, this is simply my experience with ordering (and returning 2 of the 3!) three clocks and my honest opinion on each one. 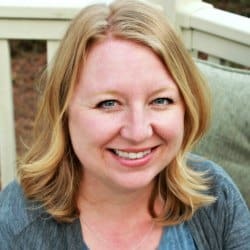 The links below are Amazon affiliate links which help to support this blog with no extra cost to you. This is the first clock I ordered. I liked several features about this clock. First of all, it is really cute and I liked that the visual cue was a child sleeping for nighttime and a child playing for daytime. When it is time to wake up, the light glows on the top part of the picture where the child is playing and when it is time to go to sleep the light glows on the bottom part of the picture where the child is sleeping. The other feature I liked about this was that it has a digital clock beneath the analog clock. This is a feature that could be useful in teaching children how to tell time. I did return this clock, however. It was difficult to set accurately because how you set the sleep/wake up times. The mechanism to do this is to turn a dial on the analog part of the clock to the time you want, for example, 7:30. But it is difficult to get it exactly on 7:30. Also, there is no way to have a different bedtime and wake up time. It was not super reliable either. I am not sure if we simply had too much trouble setting it, but the “wake up” and “bedtime” light did not always switch when it should. That wasn’t the only problem. The biggest problem for us was that all of the controls were right on the back of the clock. A big red button and fun dials, what child wouldn’t want to play with those? Just as soon as we would finally get it set, my son would turn a dial and all was lost. The only solution would be to put it out of reach, which didn’t feel like a great solution. For the second clock, I thought I would go with something more simple. Again, there were several things I liked about this clock. It has both analog and digital time displays like the first clock. In addition, when your child pushes on one of the large buttons in the front it would say the time out loud. I think all of these cues would be great to help children learn how to tell time. It was easier to set the wake-up time on this one as well. The clock yellow at night when it is time to sleep and changes to green in the morning when it is time to wake up. However, there were several problems with this clock. First, you still can only set one wake up time. You can’t have a separate nap time without resetting the whole thing. Second, while the controls are under a panel and in the back, it is very obvious that there is a panel and my son quickly saw that there were lots of fun buttons on the back of the clock. 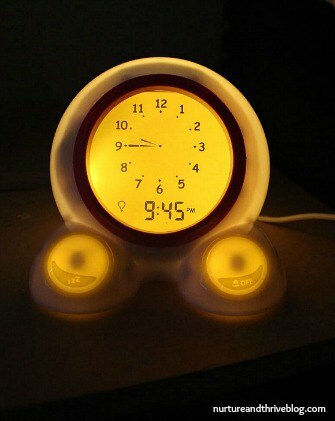 Finally, the night light on this clock is VERY bright. There are several reviews dedicated to showing how to turn off the light on Amazon. Some have figured out how to only have the green light come on in the morning, but the feet are still lit up at night. There is even a reviewer who has figured out how to turn all the lights out at night but still have the green come on in the morning by taking the clock apart and adjusting something on the electronic board inside! That was too much for me and we returned it pretty quickly. Just when I was thinking perhaps I should start a business to design the best kid’s clock, I finally found it! This clock was more expensive than the other two and more than I wanted to spend initially, but in the end, it does have several more features than the other two. This is a clock that is made to be handled by kids. It is the most sturdy one of the three. The buttons for setting the clock are under the removable faceplate that my son has never thought to take off (just don’t set it in front of your child if you have a button pusher!). It has both the analog clock face and a digital display of the time and it was the easiest of the three to set. The My Tot clock has five color settings. The default daytime color is a yellow clock face. Set the clock for bedtime and the clock face turns dark blue. Want to use it for naptime as well? There is a light blue color that can be set for the number of hours and minutes you choose. They call the green color “encouragement,” we use this for quiet time. I push the green button on top of the clock once and then hold it down and the clock face turns green for the amount of time you choose. There is even a red color for the clock face to use for a time-out or you could use it for time-in and talk about emotions. It will also play bedtime stories and music with little cassettes, but we haven’t used that feature yet. For a complete list of features click here. Best of all? It works. My son is more likely to stay in bed until 7:30 am (not every day, but more often than not). And it has cut down on the number of time my son leaves his room during quiet time. 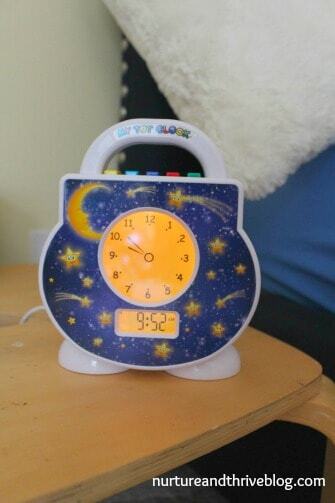 Has my son figured out how to change the clock from green back to yellow at quiet-time? Yes he has, but more often than not he happily plays and “reads” until quiet time is over and he comes bounding in saying “my clock changed” and it’s on to the next event of the day. 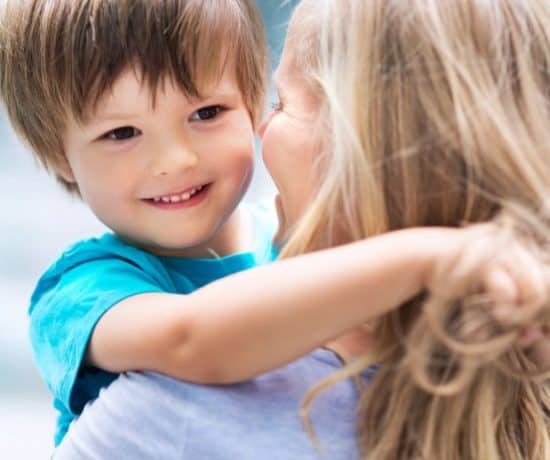 A big reason a clock like this helps with bedtime and sleep issues is because it diffuses the power struggle between you and your child. 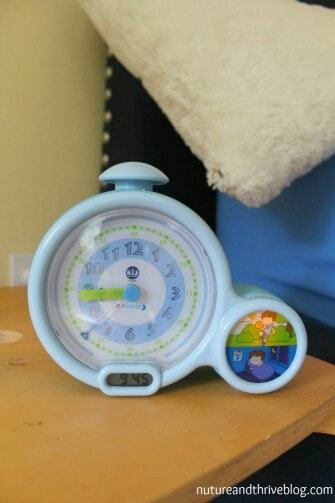 It isn’t you telling your child it is time for bed, it is the clock which has now changed to blue that signals bedtime. 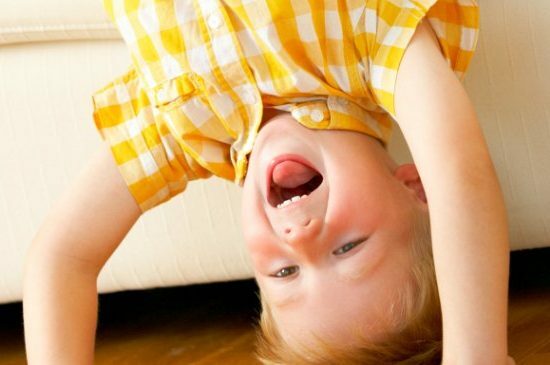 Even better, your child feels more in control because they can recognize that signal and tell you it’s time for bed! This empowers children and takes away the abstract and arbitrary nature of the statement “It’s time for bed.” What is “time” to a child? Using a clock like this makes bedtime, naptime, quiet-time, and waking up time concrete and understandable to even young toddlers. If you are looking for something simpler for younger children, there are nightlights that have the color change feature for when to wake up without the clock component. I haven’t tried these myself, but it could be good if you have staying in bed and early wake-up issues. Onaroo Night Owl Portable Night-Light with OK to Wake! Thank you for this post, Ashley! We’ve been having an early riser who climbs out of his crib and comes into our room to wake us up. Just purchased the My Tot Clock based off of your review. Thanks for the recommendation! Thank you Natascha! Remember to start in small increments — so if he is waking at 5:00 am, try setting the clock to 5:15 or 5:20 and then you can slowly increase. Good luck! Just started using the “My Tot Clock” after reading this and wow, what a difference it makes! What’s great is how empowering it is for HIM to tell ME when bedtime (or quiet time, etc) is – all because he’s ‘reading’ it from the light on the clock. So cool & works like a charm. No more struggles to get into bed or stay in his room at quiet time. I think it also really helped with the middle-of-the-night waking as well – since it’s winter and dark outside when he wakes in the morning, he was confusing middle-of-the-night for morning. Not anymore – he wakes up, sees his little clock is still blue and goes right back to sleep – hooray! Thanks for the great reviews! Great! I am glad it worked for you. I love that this clock has so many colors, so you can easily change the clock for quiet time, nap time etc. These clocks are great for kids! Thank you for sharing.